June 14, 2016  "He was acquitted of the crime he was guilty of and convicted of a crime he's innocent of," says legal analyst Jeffrey Toobin. 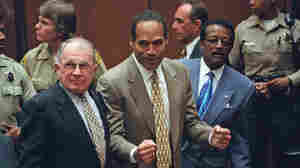 He and director Ezra Edelman discuss O.J. : Made in America. 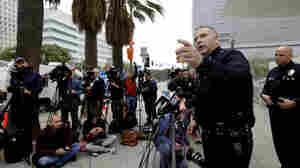 April 1, 2016  LA detectives have determined that a knife turned in recently as possible evidence was not the weapon used to kill Simpson's ex-wife Nicole Brown Simpson and her friend Ronald Goldman in 1994. March 10, 2016  The actress set out to portray Marcia Clark in a "truthful way" in FX's The People v. O.J. Simpson. "I read, watched and listened to any and everything I could get my hands on," Paulson says. 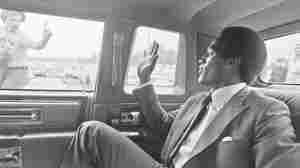 March 4, 2016  When O.J. 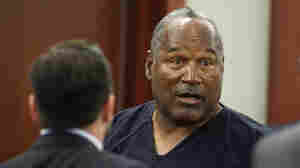 Simpson was acquitted of murder in 1995, the absence of the weapon prompted much speculation. Police are now testing a knife allegedly found years ago and kept by a retired police officer. November 26, 2013  The judge said the fallen football great is not entitled to a new trial for his 2008 convictions for armed robbery and kidnapping. Simpson is serving a sentence of nine to 33 years in the crimes.